Let’s face it, you probably got a couple of gift cards here and there for the holidays. If you’ve got an Amazon gift card, you may want to keep an eye out on Dragon Quest Builders. It currently has a price of $13.88, which is cheaper than it’s ever been! The Dragon Quest–Minecraft hybrid was one of 2016’s biggest surprises, and now you can get your hands on it before its sequel comes! It’s the perfect time to grab Dragon Quest Builders at this price, too. 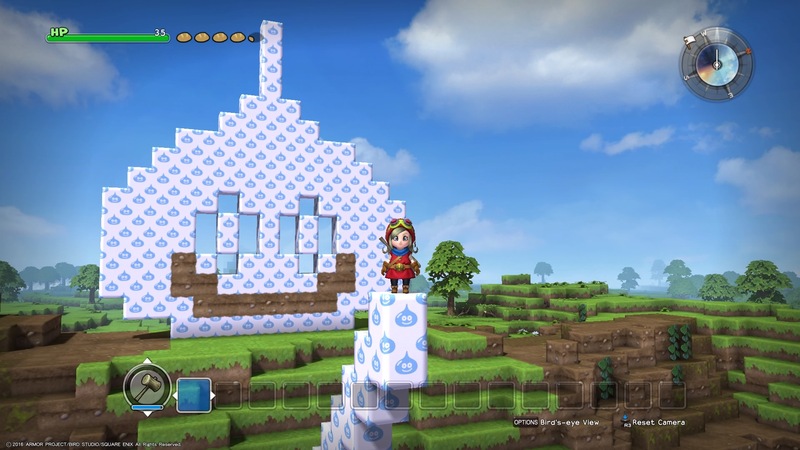 A sequel, the appropriately-titled Dragon Quest Builders 2, just released in Japan. It takes the foundation of the original game and expands upon it. New features, like four-player cooperative multiplayer are added, allowing you to explore other player’s islands. It also features cross-platform play, albeit very limited cross-platform play, that lets you see photos created by players on all systems. While it’s already out in Japan, and selling pretty well at that, a Western release date hasn’t been announced yet. It is confirmed to be coming West and 2019 is looking likely, but we’ll have to wait on that. However, you can get Dragon Quest Builders for $14 now and get ready for when it does release! Dragon Quest Builders is available on Amazon.